Stellar is a global financial platform based on distributed ledger technology. It is a protocol created to help develop a decentralized global financial system, similar to Ripple. Abbreviated XLM, its digital currency is called "Lumens." Stellar was created in 2014 by the Stellar Development Foundation. Among its founders was Jed McCaleb, the creator of the now-defunct bitcoin exchange Mt. Gox, as well as a co-founder of Ripple. According to Stellar's white paper, it was created to address the need for a "financial infrastructure that supports the kind of organic growth and innovation we’ve seen from the Internet, yet still ensures the integrity of financial transactions." Promoting both itself as well as Stellar, Blockchain.com announced on November 6, 2018 that it would airdrop $125 million worth of XLM over a six month period by depositing about $25 worth of XLM into each new Blockchain customer's wallet and otherwise distributing any remaining Stellar (XLM) to current customers. The airdrop started on November 11, 2018. The price of XLM rose about 10 percent after the announcement and maintained the price gain for at least the 24 hours after the airdrop began. Blockchain.com said in an official blog post that it was the largest airdrop ever. Stellar is working directly with IBM on a blockchain-powered project called Hyperledger Fabric, which aims to use distributed ledger technology to create a streamlined, cross-border payment system. Unlike bitcoin, which uses a proof-of-work system to verify transactions made on its blockchain, Stellar uses a system that does not rely on a closed network of nodes. Instead, it uses a model called FBA (federated Byzantine agreement), which uses a meta-system to verify transactions and maintain the integrity of the network's trustworthiness. This is accomplished by having each user within the system establish his or her own set of preferred users, watching them to ensure they verify the transaction first before the user verifies it. In July 2018, Stellar surpassed Litecoin in market cap, making it the 6th largest cryptocurrency. Litecoin's creator Charlie Lee tweeted this message in response to the news. In March 2019, Stellar announced that Denelle Dixon, longtime COO of Mozilla, would be taking over Jed McCaleb's role as CEO. Later that month, Binance announced that its popular Trust Wallet would begin supporting XLM for Binance customers. The Stellar Development Foundation's stated goals are primarily to take advantage of distributed ledger technology to help foster economic growth worldwide. It seeks to do so by lowering the cost of small transactions, or micropayments, as well as decreasing the costs for individual users making payments to users in other countries. It also seeks to improve the capabilities of mobile technology to perform fast, low-cost money transfers, and stimulate the growth of small business worldwide, all in compliance with international law. To that end, Stellar has partnered with numerous companies and services including the U.K.-based consulting firm Deloitte and, as of May 2018, American Express. The Stellar Development Foundation plans to use the Stellar protocol and lumens to provide a basis for interoperability between various financial systems, including banks. Its service provides multi-currency transactions, which are designed to be as efficient as possible regardless of varying values between fiat and cryptocurrencies. Basically, it is built into the programming of the Stellar protocol that if the payee wants to be paid in a different currency than what the payer is sending, Stellar converts that currency to the desired currency at the same time that it sends the payer's value to the payee. Normally this would be done over the course of days or weeks while financial institutions talk to each other to verify the transaction. For example: if an American user wanted to pay someone in Stuttgart from their American Express account using Stellar, AMEX would have to clear things up with whatever bank or credit institution the German user wanted to use to receive the payment, in order to verify the transaction and convert it to euros. This process usually takes several days. Stellar is designed to do all that automatically in a couple of minutes. Thus, this transaction occurs between the U.S. user and the German user with the ease and speed of sending an email. Stellar is designed so that these transactions are also quite cheap, costing a fraction of a cent each. Private companies and financial institutions in several countries, especially underbanked regions in Africa, India, the Philippines, and some Southeast Asian countries, have begun using the Stellar network. India's ICICI Bank, for example, is partnering with Stellar in order to allow users to send faster, more secure transactions with lower fees than was previously possible. In September 2018, IBM announced on its website that it had brought its Blockchain World Wire (BWW) payment network out of beta. Partnering with Stellar, IBM says that the BWW can clear and settle cross-border payments in seconds. IBM announced on March 18, 2019, that six banks had signed letters of intention to use BWW to issue fiat-based stablecoins, pending regulatory approvals in their home countries. IBM indicated that three of the banks are Bank Busan (South Korea), Rizal Commercial Banking Corporation (Philiippines) and Banco Bradesco (Brazil). Already at the time of the announcement, BWW was using Stronghold’s U.S. dollar-backed coin currently as an on-ramp for U.S. dollars, and BWW had payment locations in 72 countries, with 48 currencies and 46 “banking endpoints” according to IBM. Also according to IBM, BWW lets banks use Lumens (XLMs), the native Stellar currency, for transactions between otherwise difficult to settle fiat currencies. Numerous companies around the world are integrating with Stellar in order to enable users to perform transactions, including cross-border transactions, using mobile phones. Coins.ph, a leading mobile financial services provider in Southeast Asia, as well as the multinational African fintech company Flutterwave, have both integrated with Stellar in order to give their users the ability to make fast, cheap, legally-compliant payments across national borders using mobile phones. In July 2017, SatoshiPay entered in a partnership with the Stellar Foundation. SatoshiPay's micropayments technology was changed from a model that was based on bitcoin's blockchain to that of Stellar, and SatoshiPay was integrated into the Stellar network in December 2017. In February 2019, SatoshiPay received a $1 million grant from the Stellar Foundation to improve its marketing strategy by offering grants of up to $100,000 for firms that use SatoshiPay's products, as well as $10 credits for companies and users who start using SatoshiPay's software. 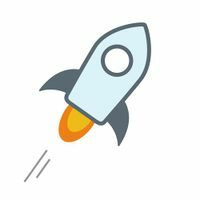 In March 2019, SatoshiPay offered an airdrop of Stellar's Lumens (XLM) cryptocurrency for those using SatoshiPay. SatoshiPay said in the announcement that the XLM digital tokens could be used interchangeably with fiat currency in the SatoshiPay digital environment. In March 2019, Western Union signed a partnership agreement with Thunes, a blockchain startup focused on improving how cross-border payments are settled. Thunes' technology relies on XLM, meaning that Western Union customers will use XLM to settle cross-border payments. Wirex, a U.K.-based fintech firm regulated by the U.K. Financial Conduct Authority (FCA) launched 26 stablecoins on the Stellar blockchain in April 2019. Wirex announced the launch on April 25th, and said that the stablecoins would be pegged to several fiat currencies, including the U.S. dollar, euro, the British pound, Hong Kong dollar and the Singapore dollar. Wirex said that these could be converted "instantly" to other stablecoins at over-the-counter (OTC) rates. Wirex said that these stablecoins could have use cases in remittances, settlement, and digital token issuance. Stellar was highlighted in a recap of Consensus 2018 by JLN contributing editor Chuck Mackie. You can read the article here. ↑ Stellar Development Foundation Mandate. Stellar. ↑ Meet Stellar, the Cryptocurrency Poised to Be the Next Bitcoin and Ripple. Time. ↑ Stellar Lumens (XLM) Rises Significantly Thanks To The Ongoing Massive Airdrop. Smartereum. ↑ Introducing: Stellar, now in the Wallet, and $125M of free crypto in your pockets. Blockchain.com. ↑ IBM and Stellar Are Launching Blockchain Banking Across Multiple Countries. Fortune. ↑ The Stellar Consensus Protocol: A Federated Model for Internet-level Consensus. Stellar.org. ↑ Stellar (XLM) Skyrockets 30% to Reach 2 Month-High. CCN. ↑ STELLAR SURPASSES LITECOIN TO BECOME 6TH BIGGEST CRYPTO BY MARKET CAP. Bitcoinist. ↑ Stellar Foundation Hires Mozilla Exec as Its New CEO. Coindesk. ↑ Stellar Lumens [XLM: Binance’s Trust Wallet adds XLM following IBM partnership]. AMB Crypto. ↑ USE CASES FOR THE STELLAR NETWORK. Stellar. ↑ There's a new hottest cryptocurrency of 2018 so far: stellar. CNBC. ↑ AmEx starts using Hyperledger Blockchain for its rewards program. Crypto News. ↑ Stellar Basics: Multi-currency transactions. Stellar.org. ↑ BUSINESS SOLUTIONS POWERED BY STELLAR. Stellar. ↑ Stellar Makes Sending Money Internationally As Easy As Email. Forbes. ↑ Stellar's 3 Most Intriguing Blockchain Partnerships. The Motley Fool. ↑ IBM Blockchain World Wire. IBM. ↑ IBM Reveals Stellar-Based ‘Near Real-Time’ Blockchain Payment Network. Cointelegraph. ↑ IBM Launches A Blockchain-Based Global Payments Network Using Stellar's Cryptocurrency. Forbes. ↑ IBM Signs 6 Banks to Issue Stablecoins and Use Stellar’s XLM Cryptocurrency. CoinDesk. ↑ SatoshiPay Integrates Blockchain Payments for Major European Publisher. Coindesk. ↑ SatoshiPay Becomes Beneficiary of Stellar Development Foundation’s $1 Million Grant. Bitcoin Exchange Guide. ↑ Stellar (XLM) Rises As SatoshiPay Announces New Partnership. Forbes. ↑ Cryptocurrency market update: Western Union partners with Thunes to leverage Stellar technology - no update on Ripple (XRP) trials. FX Street. ↑ Payments Firm Wirex Launching 26 Stablecoins on the Stellar Blockchain. Coindesk. This page was last edited on 25 April 2019, at 11:39.